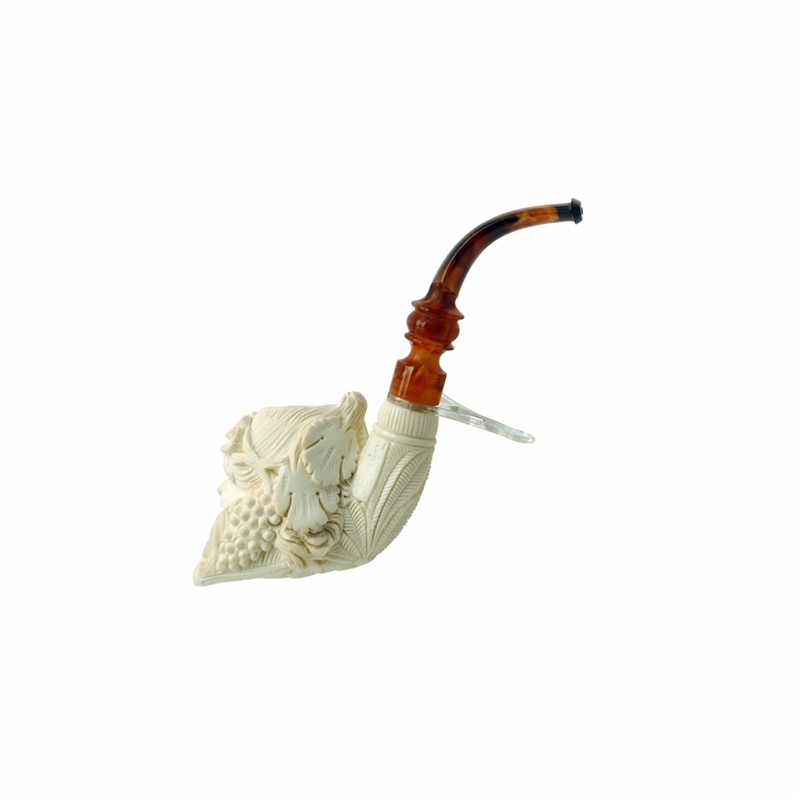 Deluxe Emin Hand Carved Oom Paul Style Green Lady Meerschaum Pipe - Inspired by the Green Man Emin created this Oom Paul Style Green Lady who symbolizes the spirit of nature and plants. 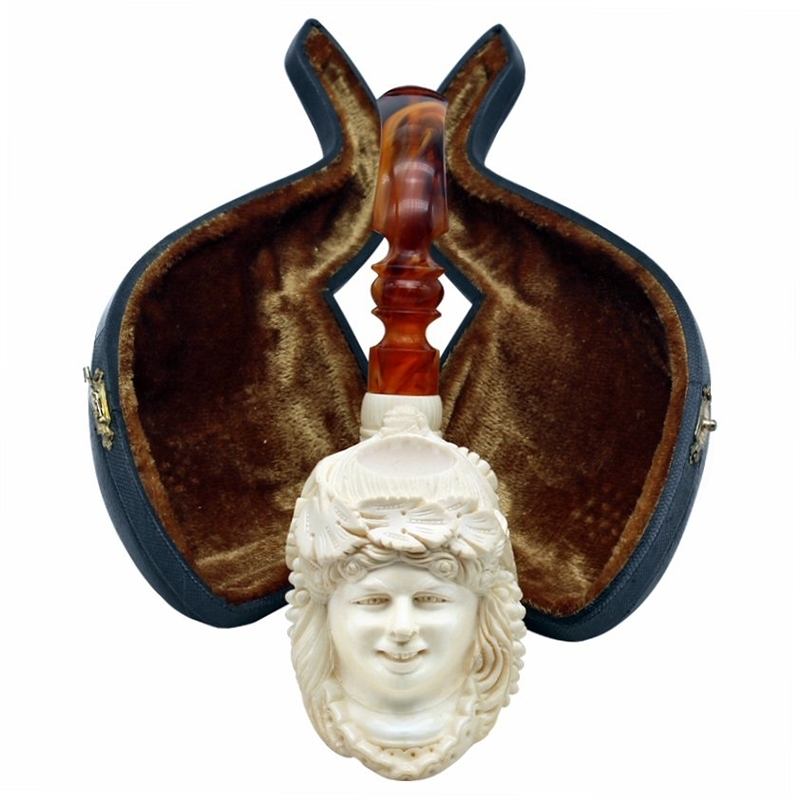 Carved grapes and grape leaves cover her head and plant leaves are carved on the flat bottom underside and shank. The pipe has a lightly double dipped wax finish giving a nice sheen. 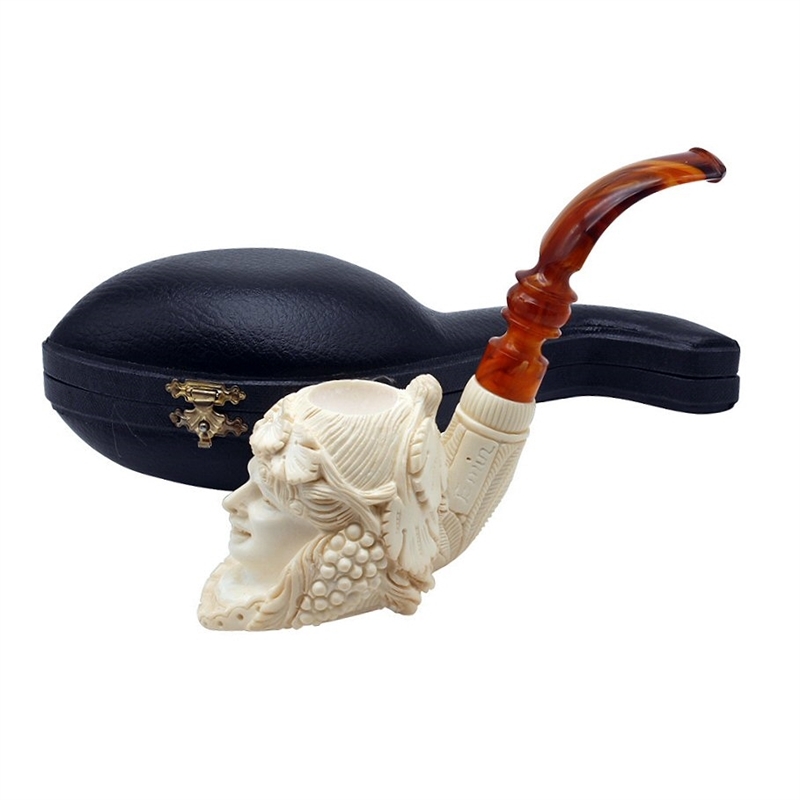 An amber colored scrolled designer stem adds to the overall beauty of this wonderful smoking and collectible pipe signed by Master Carver Emin.